Entering the bodybuilding lifestyle isn't always what you would imagine. It doesn't mean that you have to enter competitions head to the tanning beds. For many people who are part of bodybuilding, it is simply a lifestyle, a healthy way to live. They harbor no ambitions of becoming the next Mr. or Ms. Olympia. They just want to build their muscles, eat right and live a healthy life. If the bodybuilding lifestyle is something that you think might work for you, the following tips will be very beneficial. 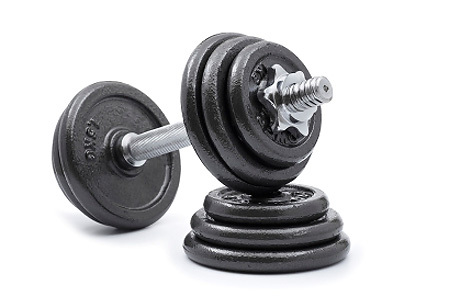 Many people who come into the gym and hit the weights don't know the proper way to lift the weights and use the gym equipment. In many cases, they injure themselves before they can get results. Instead of going into the gym gung ho and lifting everything that you see, take the time to learn the exercises. You can find some great books and online resources that will show you the proper form. If you have doubts, ask someone who works at your gym, or one of the other members to show you how to do the exercise. Lifting a lot of weight is a matter of pride for a number of people, particularly men. They try to increase their poundage too quickly, and this results in injury. It is far better, and much wiser, to lift at a comfortable weight and to add more pounds to the exercise as strength grows. You want to gain muscle weight, so you shouldn’t be putting bad food into your body. Fast food and processed food is terrible for you. Some of the staples of the body building diet include chicken, tuna, fresh vegetables, fruit and nuts. Eat this and stay away from soda, breads and fatty foods. Your heart will thank you for it, and so will the scale. When trying to put on muscle, many people stop doing cardio. They believe that it is going to strip them of the muscle they have. You still need to make sure that cardio is a part of your workout regimen. Do cardio on the days that you don't train with weights. This helps to keep your metabolism high, and that means you can drop fat weight while still adding muscle. The ripped appearance you want is within reach when you continue with your cardio! Once people start seeing results from their workouts, they start to spend more and more time at the gym. Keep in mind that you need to rest and recuperate if you want to avoid injury and have more muscle growth. It's also good to get out of the weight room sometimes and enjoy other parts of your life. Head to the beach, take a hike or a bike ride around the neighborhood. Remember that life outside the gym is just as good as life inside the gym. It also smells better!